As I drink very little hard liquor, I have started to buy wines on duty-free. My choice is more or less done by random. The "less" is that I know what I like or what I do not like. To deviate from this has often been a bad idea. Especially when you are tempted to buy French wine. The last choice I made is typical of what I experience when buying an expensive wine from Burgundy or Bordeaux. At Oslo airport I fell for a Grand Vin de Bourgougne, in a very impressive package. Bouchard & Fils Reserve du Château had all the hallmarks of an exclusive choice, including the price. 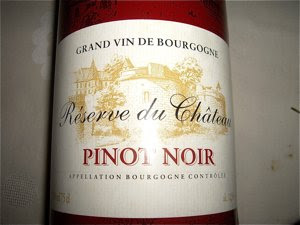 I was foolish enough not to list up the experiences I have had with wines from this region, and I certainly regretted it, as Bouchard & Fils Reserve du Château was a senseless waste of money. It was opened and allowed to air itself. When you took the first sip it had neither richness, nor fruit. My guests and I asked the same question; why is this wine on sale? Did it lack the necessary age and maturity to it? We tried to decant it, pouring it into a designer jug – and it helped a little, but it remained flat and uninteresting. 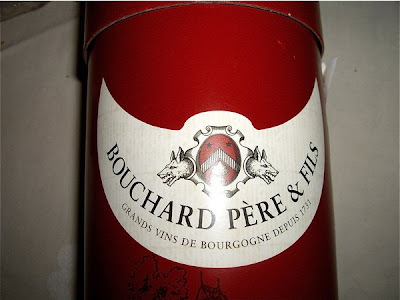 If you like wines dull as dishwater, feel free to buy a bottle of Bouchard & Fils Reserve du Château. If not, try a wine from Rhône or Languedoc. Wines from these regions used to have less prestige, but now wines superior to many of the wines I have tasted from Burgundy are produced here. Even better, leave France alone and buy a Spanish, South African or Italian. Cheaper, better – more wine for the money.